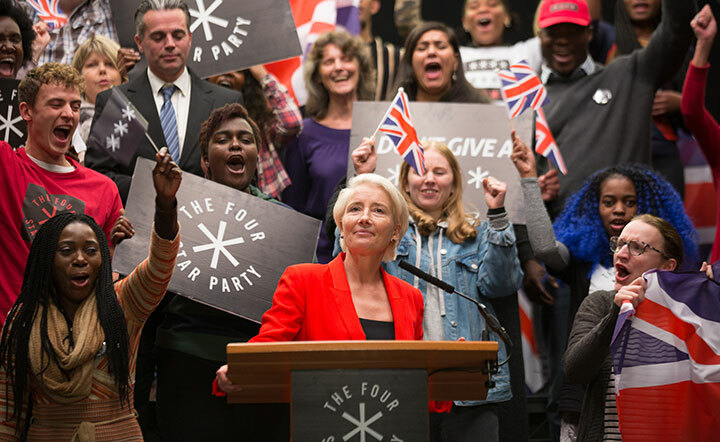 Emma Thompson leads an all-star cast in BBC family saga Years and Years. Writer Russell T Davies and exec producer Nicola Shindler reveal why it was finally time to make the ‘state of the nation’ series and take on the challenge of making a political drama in the age of Trump and Brexit. 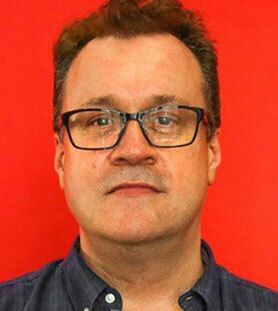 Former Doctor Who showrunner Russell T Davies and British producer Nicola Shindler have proven to be formidable partners over the years, teaming up together on series such as the seminal Queer as Folk as well as Bob & Rose, The Second Coming, Casanova and Channel 4 trilogy Cucumber, Banana and Tofu, which explored gay life in Manchester as a drama, youth spin-off and short film collection respectively. Their latest project together, Years and Years, is, in fact, their ninth collaboration in the past two decades, and this state of-the-nation piece promises to be just as relevant, timely and emotionally charged as those earlier series. Emma Thompson heads the star-studded cast of this unique and ambitious six-parter, which follows one family over the course of 15 years. 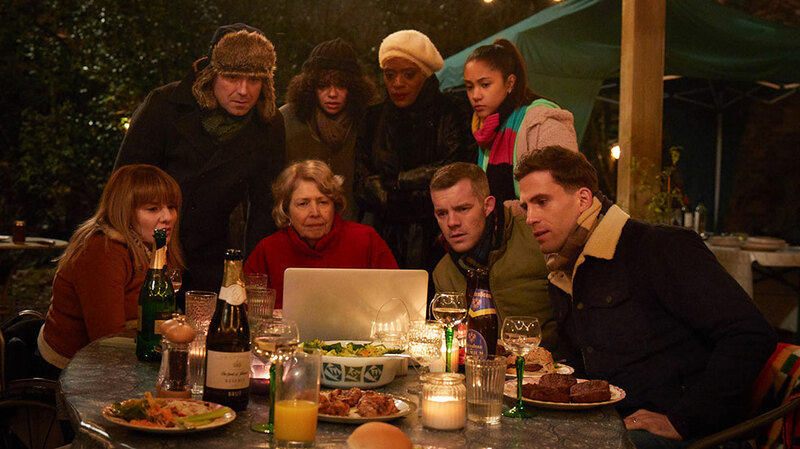 As Britain is rocked by unstable political, economic and technological advances, viewers will follow the Lyons family as their complex lives converge on one crucial night in 2019. The twists and turns of the family’s everyday life are then explored over the next decade-and-a-half. The writer points to series such as Upstairs Downstairs, Winds of War, Poldark and the “very beautiful” Our Friends in the North, Peter Flannery’s acclaimed drama that followed four friends over 30 years, as inspirations for Years and Years. Shindler confirms the long gestation of the series, which is produced by her firm Red Production Company, revealing she has seen an outline from the story that Davies wrote 10 years ago. It was first pitched to Wenger when he first arrived at the broadcaster from Channel 4 earlier in the autumn of 2016, and once it was written and greenlit, financing was pulled together with coproducers Canal+ in France and HBO in the US. Studiocanal is the international distributor. Creator and writer Davies is also an executive producer on the series, alongside Shindler, Red’s Michaela Fereday, the BBC’s Lucy Richer and Simon Cellan Jones (Our Friends in the North), who also directs. 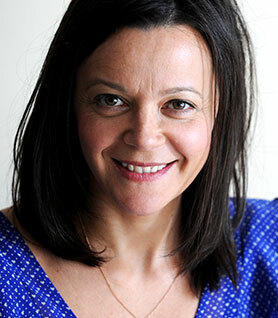 Thompson (The Children Act) plays Vivienne Rook, an outspoken celebrity turned political figure whose controversial opinions divide the nation. She’s described as a new breed of politician – an entertainer, a rebel and a trickster – and her rise to power leads to an unknown future. Rory Kinnear (Spectre) is Stephen Lyons, a financial advisor and the family peacekeeper, who is married to Celeste (T’Nia Miller), an ambitious and opinionated accountant. Daniel Lyons, played by Russell Tovey (The History Boys), is a hard-working housing officer and Stephen’s brother. Their sister Edith (Jessica Hynes, W1A) is radical, dangerous and calculating, with a secret life. Ruth Madelely completes the siblings as Rosie, while Anne Reid (Last Tango in Halifax) is Muriel, imperial grandmother of the Lyons. Davies says casting was crucial, as viewers need to love the family at the heart of the drama for them to follow their exploits over the series. And with the right actors in place, he’s satisfied viewers will follow them into the future.